US Senator John McCain (R, Arizona) died on Saturday. He was a militarist, a war criminal, a facilitator of racism, an opponent of the US working class, and more. Known as a “maverick”, in reality he was a chameleon/opportunist. On some issues he jumped from one side to another, depending on which way the wind was blowing and which audience he was playing to. However, he did have a consistency: His defense of US imperialism and the interests of the US capitalist class. 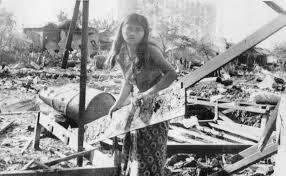 Results of Nixon’s carpet bombing of Cambodia. McCain supported this war crime. role he never regretted. His position remained that he “hates g__ks… I will hate them as long as I live”. He supported Nixon’s carpet bombing of Cambodia and never retracted that support. McCain was first elected to the US congress in 1982. One of his key supporters was Charles Keating, owner of Lincoln Savings and Loan. McCain always opposed any US measures against this racist system. 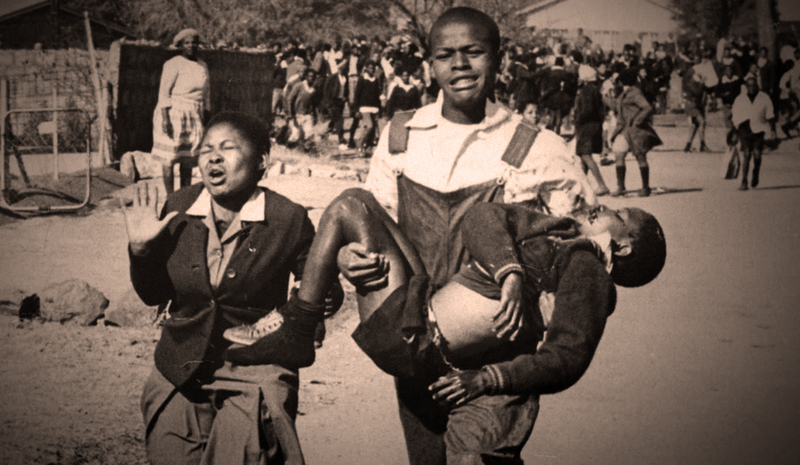 honorably.” During the 1980s, when South African apartheid was an international issue, McCain voted no less than six times against the levying of sanctions against that racist state. 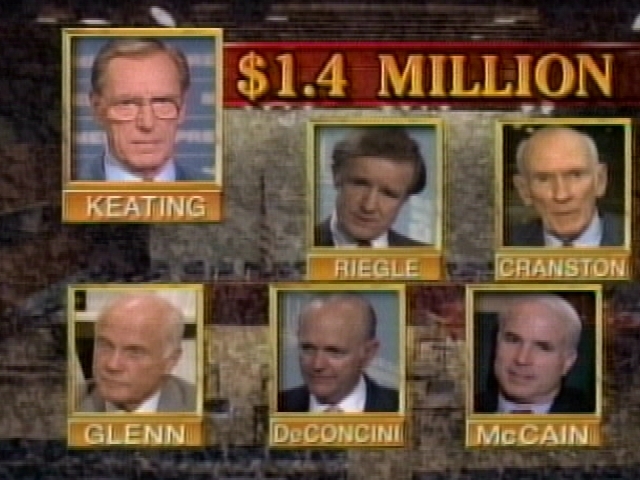 McCain was the most prominent of this corrupt crowd. He supported the terrorist Contras. He was a supporter of the US invasion of Iraq and implicitly exhorted violence against protesters of that invasion, saying “get out of here, you low life scum.” Later, when the invasion became unpopular and was clearly a disaster even for US capitalism (never mind for Iraqis) he flipped again and said he regretted his support. He called for the overturning of Roe vs. Wade and said he’d be in favor of a Constitutional amendment that would outlaw abortion. McCain was responsible for promoting Sarah Palin onto the national scene. It was she who helped build the mood of national hysteria that allowed Trump to become president. So, despite his later quarrels with Trump, McCain was indirectly responsible for Trump being president. Just like his later “regret” for having appealed to racism, McCain reportedly said later that he regretted having selected Palin as his running mate and wished he’d selected Joe Lieberman instead. Lieberman is a right wing militarist and one of the strongest supporters of Netanyahu around. On the critical question of global warming, during his presidential campaign (2008), he quoted the reactionary slogan “drill, baby, drill”. In 2017, he reversed his previous opposition to drilling for oil in the Alaska wilderness, voting for Trump’s tax cut bill which opens up exactly that drilling. He not only called for the bombing of Iran; he made it into a joke, singing (to the tune of “Barbara Ann”), “bomb, bomb, bomb Iran.” The thousands of deaths and the suffering of millions of Iranians was not a concern for him. 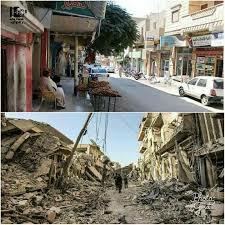 Photo of Raqqa before and after US aerial assault. McCain never criticized this war crime. In 2013 in McCain traveled to Syria and met with and called for support for the Free Syrian Army. Some remember him primarily for this trip. This, however, was at the tail end of the time when the FSA was seen as being a possible alternative to the chaos that might ensue if Assad stepped down. His real attitude is seen in his more recent visit to Syria, in 2017. That visit apparently was a step paving the way for the US bombing of Raqqa, a war crime if there ever was one. The Washington Post (4/19/2018) described the results: “it is easier to count the buildings that are still standing than the ones that have been reduced to shattered concrete and twisted reinforced steel.… Raqqa has become nearly unrecognizable to those who try to return and navigate its streets. Public squares are hidden underneath debris, and the tallest residential towers are mere rubble.” McCain never expressed the slightest criticism of this war crime. There is one issue on which he has been consistent: His opposition to any measure that in any way directly helps the US working class. This opposition included: helping block an increase in the minimum wage in 2005 and 2007; comparing unions to monopolies during his run for the presidency; helping block legislation that would make it easier for workers to form unions (the “Employee Free Choice Act of 2007); avoiding a vote on the Ledbetter Fair Pay Act of 2008 that would have made it easier for women workers to sue for equal pay; and avoiding a vote on extending unemployment benefits in 2008.